In 1991, at the request of Raoul Wallenberg’s brother, a joint Swedish-Russian Commission was set up to investigate the fate of missing Swedish Diplomat Raoul Wallenberg. The commission discovered that 3 Hungarian numbered prisoners secretly held in <?xml:namespace prefix = st1 ns = "urn:schemas-microsoft-com:office:smarttags" />Vladimir prison, Soviet Union had been connected to the Wallenberg case. One of the three Hungarian numbered prisoners was Karoly Schandl, my father. This is his story. Note: Please also visit the Sequel page of this site for information on "The London-Budapest Game," which is supported by U.K. archives (PRO) documents. NEW: Book 3 reveals the secret of the SWEDISH GOLD. An active member of the pro-British, anti-Nazi resistance group led by his best friend "George," Karoly Schandl was a young Hungarian lawyer. He lived next to Raoul Wallenberg's Swedish Embassy in Budapest. His Fate: Arrested by SMERSH. The Key SIS agent of World War II Budapest. 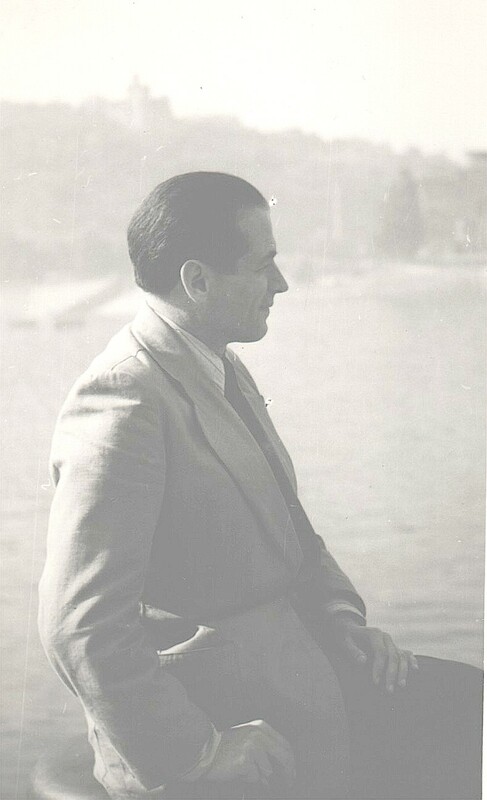 A young Hungarian lawyer of Jewish origin - and Karoly's best friend - he was in charge of the British-led anti-Nazi resistance group in World War II Hungary. He was a trained and valuable MI6 British agent. His Fate: Arrested by the Soviets. A young Dutch lieutenant, Van der Waals had worked for Swedish humanitarian and diplomat Raoul Wallenberg in Budapest. He had also been involved in the British Underground. His Fate: Arrested by SMERSH with Karoly Schandl. What did a “group” led by British intelligence, a church in a cave, and a missing Swedish diplomat all have in common in World War II Hungary - and why did most of the players in this drama disappear? Shocking facts are uncovered about British intelligence, SMERSH, war-torn Budapest, and how they were all connected. 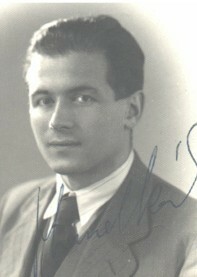 Karoly William Schandl, a Hungarian lawyer, was a survivor of almost 12 years in the brutal Soviet prisons of Lubyanka, Lefortovo, and Vladimir. Prior to his official arrest by the NKVD/SMERSH on December 8, 1944, he was a member of the British-led anti-Nazi resistance. He lived next to the Swedish embassy in Budapest. Karoly and his idealistic school friends were secretly working for British intelligence. He was also hiding a British agent and a Jewish friend in his apartment. In early December 1944 - south of Lake Velence - SMERSH arrested Karoly Schandl (a.k.a. Karl Schandl) , along with a Dutch lieutenant who had been working for Swedish diplomat Raoul Wallenberg. 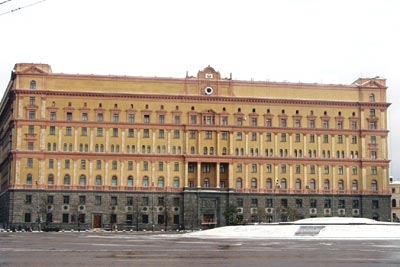 Karoly and the Dutch lieutenant were placed in Lubyanka and then Lefortovo prison. British intelligence had ordered them to report to the Russians. After 5 years of Soviet captivity as a POW, Karoly was accused of being an "English spy." In 1950, following a mock night-time hearing in the Lubyanka, he was transferred to Vladimir prison, where he was kept locked away in secret, in the “special section,” in solitary confinement, where he was known only as a number. The Soviets continued to deny any knowledge of his whereabouts. He was bombarded with ultrasonic sounds as they attempted to brainwash him, but to no avail. Sword of the Turul is available worldwide, at the websites of Lulu.com, BarnesandNoble.com, Amazon.com, Amazon.co.uk, Amazon.ca, Amazon.fr, Amazon.de. The book is also listed on Ingram. Please note it may at times be fastest to order through Lulu, where both the printed and download version are available. This book is a selection of Forbes Book Club.